ISBN 0634001558. 9x12 inches. Book/CD Packs. 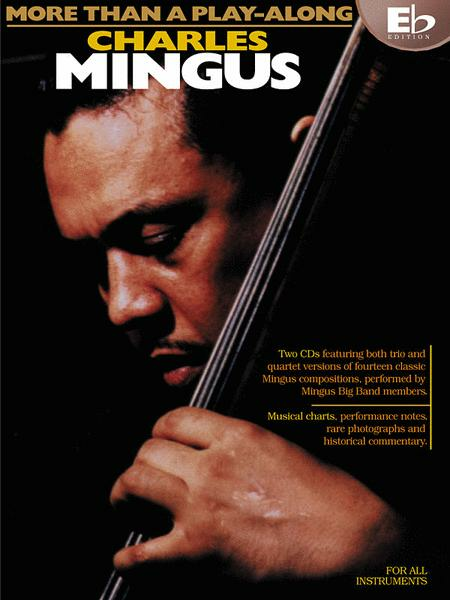 Michael Brecker calls these new collections “a fantastic resource for music students and professionals alike” and Billy Taylor says they make “the music of Mingus become more accessible than ever.” These book/CD packs available in C, Eb, Bb and BC editions include two CDs featuring both trio and quartet versions of 14 classic Mingus compositions performed by Mingus Big Band members; musical charts; performance notes; rare photographs; a biography; and historical commentary. Songs include: Fables of Faubus • Goodbye Pork Pie Hat • Gunslinging Bird • Jelly Roll • Peggy's Blue Skylight • Portrait • Slippers • Sue's Changes • and more.